Beth Akers is a fellow in the Brookings Institution’s Brown Center on Education Policy. She is an expert on the economics of education, with a focus on higher education policy. Akers’s recent writing has been on the topics of student loan debt, information in higher education and extended time-to-degree. She previously held the position of staff economist with the President’s Council of Economic Advisors, where she worked on federal student lending policy as well as other education and labor issues. Akers received a B.S. in Mathematics and Economics from SUNY Albany and a Ph.D. in Economics from Columbia University. She is often cited by major media outlets and has briefed policy makers on the topic of student loans. Kevin Fudge is the Manager of Government Relations and Community Affairs at American Student Assistance. He works with policy makers, state agencies and non-profit organizations to increase college access, college completion and successful education debt management. 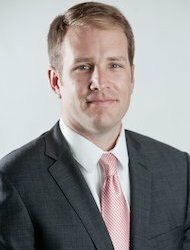 He works with members of state government to provide effective solutions to complex student loan situations faced by their constituents or from their own education loans. 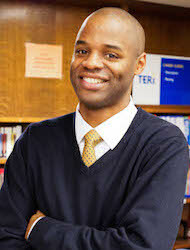 He provides research and analysis of student loans to secondary school administrators and higher education professionals. He has appeared in media outlets such as NPR, NBC, CBS, US News and World Report, the Washington Post and the Boston Globe. Kevin is a graduate of the University of Virginia and received his M.Ed in Education Policy and Management from Harvard Graduate School of Education. Mark’s research at Demos focuses primarily on college affordability, student debt, financial aid, and state investment in higher education. Prior to joining Demos, Mark worked as a Research Analyst at the Institute for Higher Education Policy, where he worked on several research projects and authored several publications on federal financial aid, student loan debt and repayment, institutional accountability, and the need for better higher education data. He has also served as a Policy Analyst at the New America Foundation, where he focused on issues related to asset building and college savings for low-income households, and as a Legislative Assistant with the Retirement Security Project at the Brookings Institution. A native of Cincinnati, Ohio, Mark holds a B.A. in Government and Politics from the University of Maryland, College Park and an Ed.M. in International Education Policy from Harvard University. Andrew P. Kelly is a resident scholar in education policy studies and the director of the Center on Higher Education Reform at the American Enterprise Institute (AEI), where he works on higher education policy, innovation in education, financial aid reform, and the politics of education policy. Previously, Kelly was a graduate student at the University of California, Berkeley, where he received a National Science Foundation research training fellowship and was honored as an outstanding graduate student instructor. Before graduate school, Kelly served as a research assistant at AEI, where his work focused on how to prepare K–12 school leaders, collective bargaining in public schools, and the politics of education. 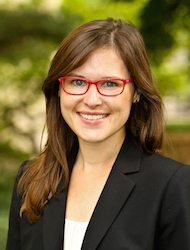 Kelly’s findings have appeared in the American Journal of Education, Education Next, Educational Policy, Policy Studies Journal, and Teachers College Record. 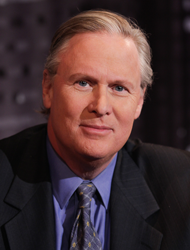 The moderator of Intelligence Squared U.S. debates since 2008, John Donvan is an author and correspondent for ABC News. He has served as ABC’s White House Correspondent, along with postings in Moscow, London, Jerusalem and Amman. In addition to recently premiering his first one-man show, Lose the Kid, in Washington, D.C., John is currently writing a book on the history of autism, to be published by Crown in January 2016. John is a three-time Emmy Award winner and was a National Magazine Award finalist in 2010.